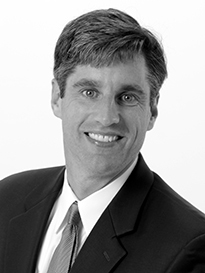 Daniel Kotchen is a partner with Kotchen & Low LLP. His main practice areas include complex commercial litigation, counseling, and representing clients before governmental agencies. In private practice, Mr. Kotchen has taken leadership roles in a number of complex commercial litigation matters in a wide variety of substantive areas, including antitrust, employment, fraud, and class action claims. Mr. Kotchen has successfully represented defendants against claims in excess of $1 billion and plaintiffs in cases resulting in settlements of up to $220 million. Mr. Kotchen has developed an expertise in antitrust. He served previously as a trial lawyer with the Federal Trade Commission, where he litigated merger and non-merger cases in both federal court and administratively within the FTC; led or took leadership roles in investigations of pharmaceutical companies and health care providers; and served as the FTC’s liaison to the Food and Drug Administration. He has litigated matters involving a broad spectrum of antitrust theories, including allegations concerning conspiracies, monopolization, intellectual property licensing, patent misuse, and mergers and acquisitions. Mr. Kotchen is currently litigating several large class action employment discrimination cases, including cases alleging that defendants predominantly employed H-1B visa holders as a means of discriminating in favor of a particular race or national origin. He is also litigating a class action age discrimination case against a large tech company. Mr. Kotchen has counseled clients in a broad array of industries, including consumer goods and retail, health care, financial services, manufacturing and distribution, airline and other forms of transportation, telecommunications, and energy. He has represented clients before the FTC, Department of Justice, Federal Bureau of Investigation, Department of Transportation, Federal Energy Regulatory Commission, and state attorneys general. He was selected to the Washington, DC list of SuperLawyers for 2018. Mr. Kotchen grew up in Lexington, Kentucky and Morgantown, West Virginia, enjoys politics and sports, and is married with three children. Kimberly Clark Global Sales, Inc.